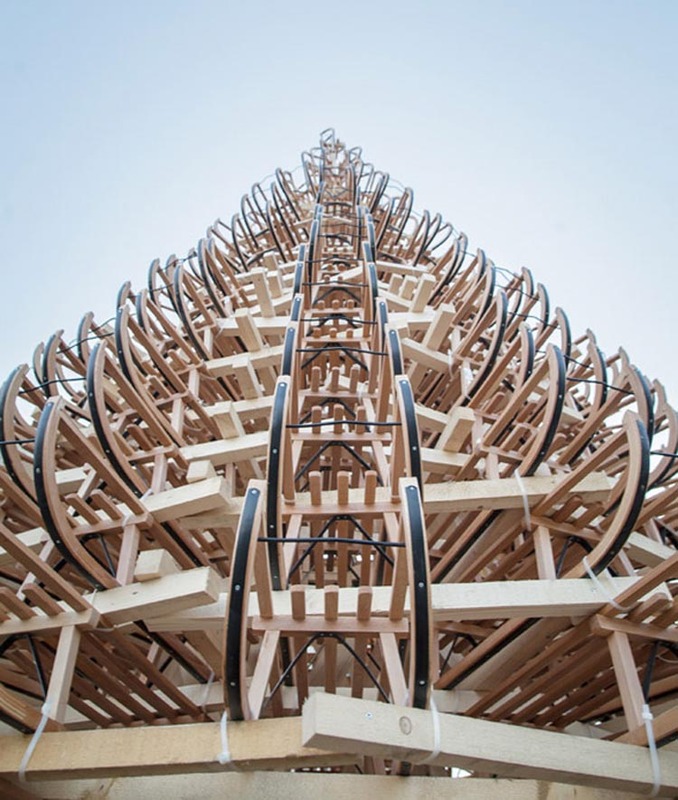 Imagine 365 wooden sleds stacked in the form of a Christmas tree. Now imagine each of those sleds going to a child in need once the structure is dismantled. Nice, right? 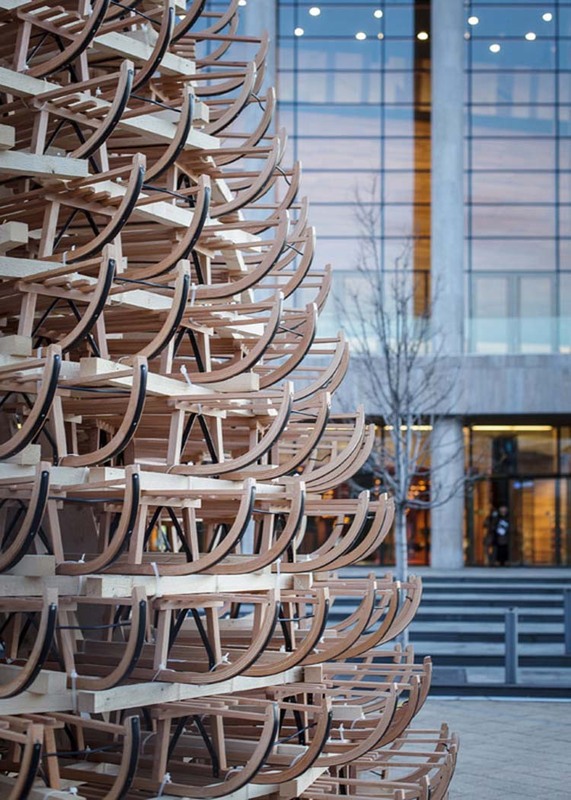 Well, that’s just what architecture/design studio Hello Wood (previously here) is doing at the Palace of Arts in Budapest. In the span of one week, they built an 11-meter tall tree that can be viewed from inside as well, giving the impression of being in the middle of a giant snowflake. The base is made of steel to keep things safe in case of strong winter winds. A tall wooden frame was built with the help of a crane and some welding, in which the sleds were fixed upon. Once the temporary installation comes down, Hello Wood will donate the sleds to the children at SOS Children’s Villages, keeping things reusable and charitable as the holidays should be. This entry was posted in Architecture, Art, Event, Industrial Design, Just Plain Cool, Stuff We Like. Bookmark the permalink.